All islanders are encouraged to join SIRA via the SIRA self service portal at: sira.org.au. Information about other ways to join can be found there too. Membership is $15 per year per individual. You are encouraged to join any of our Subcommittees and Service Groups. The SIRA Committee (SIRAC) welcomes observers at its meetings, and questions and submissions from island residents. SIRA also works with Council and our local MP to secure funding for island infrastructure. It advocates on a range of issues, including roads and drainage, emergency water, and the Church Point precinct plan, as well as holding community forums on key island issues. In addition, SIRA represents the community on onshore committees, including Pittwater Council reference groups and the Church Point Design Group. Council secured funding from Transport - Roads & Maritime Services and through the advocacy of Rob Stokes, MP for Pittwater, for funding towards the costs of improvements to Carols Wharf and Bell Wharf. 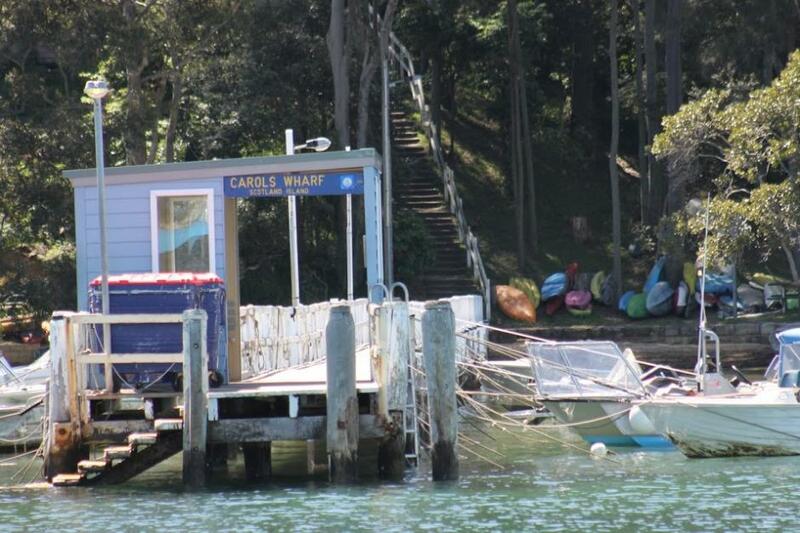 The legwork for this was done by the Wharves Working Group under leadership of Alec Beckett. Well done to all! SIRA will start talks with Council on the timing and details of the work next month. The funding deal stipulates that the works are completed before the end of 2019 and of course we hope for a much earlier delivery. In July 2014 SIRA has published a new version of the Scotland Island Community website, which is the product of much hard work and creativity. The website will help us achieve our aims of engaging with our community, supporting the delivery of a number of services and representing our community to the wider world. The website provides a wide range of information; helps promote and facilitate a number of activities and groups; facilitates conversation and offers a platform for discussion; and is part of the portfolio of tools used to communicate and consult. The launch of the new website is just the beginning and not meant to be static. We envisage much more to be added as more people give feedback and suggestions. To make this happen we need your involvement and participation! This website is much easier to interact with, maintain and modify. It has a higher level of integration between the various sections and several new and existing features. Easy expandability and access means the potential to add much more local information. For example, we would welcome a section on offshore artists, on annual events such as the dog race, the floating choir, the Anzac service, festivals, artist trails, children on this island, etc.Feel free to contribute! The new website is the product of a team effort, led by Hubert van Mierlo, who project managed the site, and Carol Floyd, who managed editorial and content and who has been involved in this project for the past few years. I would also like to thank the many people who contributed content (Cass Gye, Ruth Gaines, Shar Jones, Bill Gye, Jane Wood), photos (June Lahm, Sam Collins, Hubert van Mierlo, Carol Floyd, Jenny Frazer, Chuck Bradley, Church Point Ferry Service, Colin Haskell, Michael Doherty, Julian Muir, and drawings courtesy of Gwyn Perkins), and testing/proofreading (Tim Turpin, Tracy Smith, David Hegarty, Phil Pryor, Adrian Matthews, Sharon Kinnison, Cass Gye, Jenny Frazer, Tanya Costin and Alan Gaines). Finally, I would like to thank those who worked on planning the site under the previous Communications Working Group: Jon Maxim, Carol Floyd, Judy Readman, Ruth Gaines, Cass Gye, Julian Muir and Dan Humphrey. We encourage you to explore the new site and refer to it for community events, announcements and information. Please do contact the website with any announcements you would like to make. We also hope that residents will contribute ideas for additions, changes or corrections, or even any photographs that you may wish to share. In 1955 Geoff Steen started the first two-page issue of the Scotland Island Progress Association Newsletter. He continued until Ian ‘Bunks’ Carmichael, a senior executive at the ABC, took over for two years before being sent to London by the ABC. Leicester Warburton then took over from Ian and kept the newsletter running for some 28 years. It was during this time that Scotland Island News was more conveniently condensed into S.I. Newsand so it was referred to ever after. Under Leicester’s stewardship the readership grew to over 300 with issues running to 8 pages. Although the original newsletter was inspired and started as a Scotland Island Residents’ Association newsletter, and despite being hosted through the association’s website, since Paul’s time the PON has been run quite independent of the association.